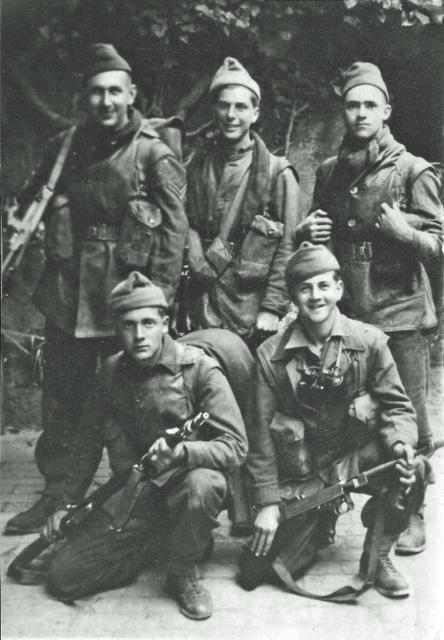 26-31st May 1941 saw 'D' Bn of Layforce / 52ME Commando involved in the defence of Crete. Many were taken prisoner of war through no fault of their own, the ships leaving without them. We have a detailed history of Layforce [view]. We also have a gallery of photos of Prisoners of War from the later Dieppe and St Nazaire raids [view]. 1st May 1942. Chief of Combined Operations Louis Mountbatten formally submits a request to the Under Secretary of State for War for distinctive head-dress for the Special Service Brigade. [view the report]. 5th May 1942 No 5 Commando were taking part in Operation Ironclad at Diego Suarez, Madagascar. 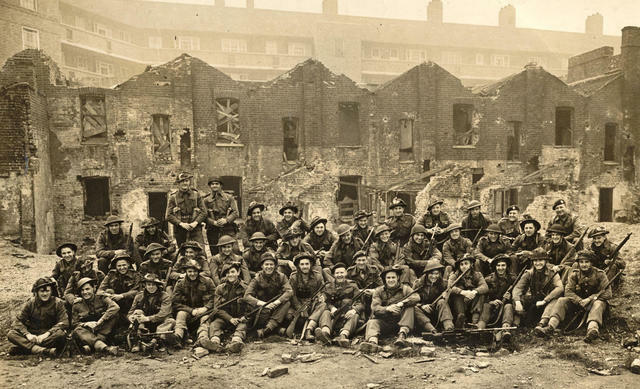 The total campaign lasted 6 months but the bulk of the special work of Combined Operations and the Commandos was concentrated into a few days in early May 1942. 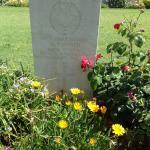 Our Gallery has images of some of the graves of the Fallen [view]. 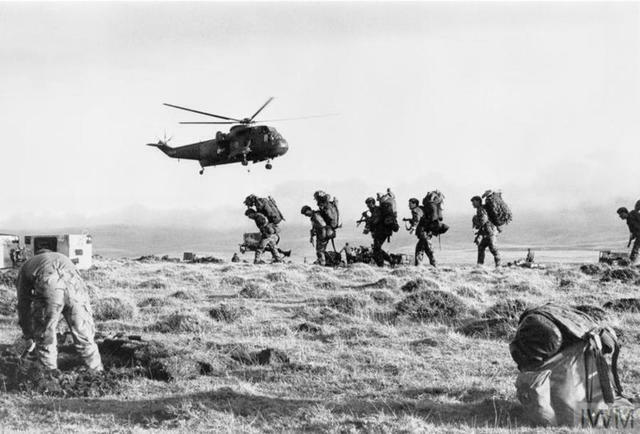 The image below is of an early No 5 Commando troop [view]. 15-18th May 1944 Hiltforce were taking part in the Tarbrush raids along the French coastline gathering intelligence in preparation for D Day. Leading one of these raids was Lieut. 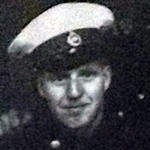 George Henry Lane (see image) , No 10(IA) Commando 3 troop, who was born on the 18th January 1915 as Dyuri Länyi. Born in Hungary but came to England in the 1930s. 3 troop also known as X troop consisted solely of German speaking refugees, many of the Jewish Faith. They included different nationalities, primarily German and Austrians, but also Hungarians and Czechs. 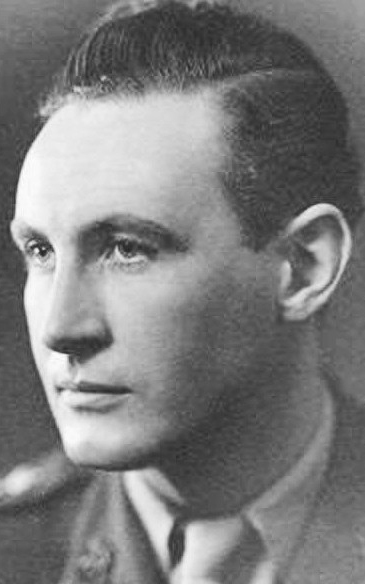 George Lane was awarded the Military Cross for his part in the commando “Tarbrush” raids on the Pas de Calais coast in May 1944,the citation commending his “tenacity of purpose in obtaining vital information”. He died on March 19, 2010, aged 95. His obituary is in our Gallery. [view]. 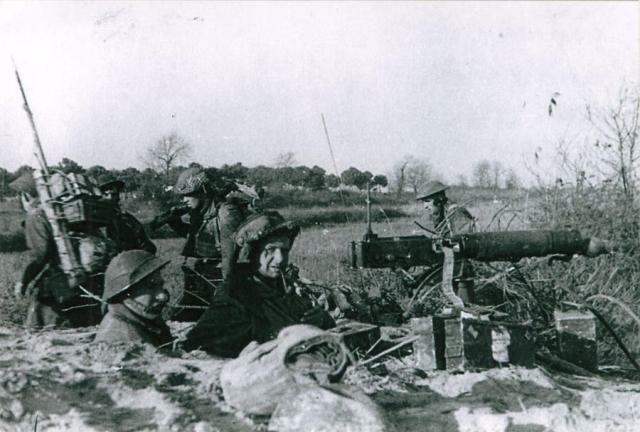 22/23 May 1944 Commando operations from Vis. Operation Foothound on Miljet island. Units involved were No 2 Commando, 43 RM Commando, and one troop from 40RM Commando. This was a large scale raid which is summed up with tongue in cheek by the unknown author of a document we have on No 2 Commando overseas under the heading "Miljet". [view]. The image below is of some from 43RM Commando [view]. 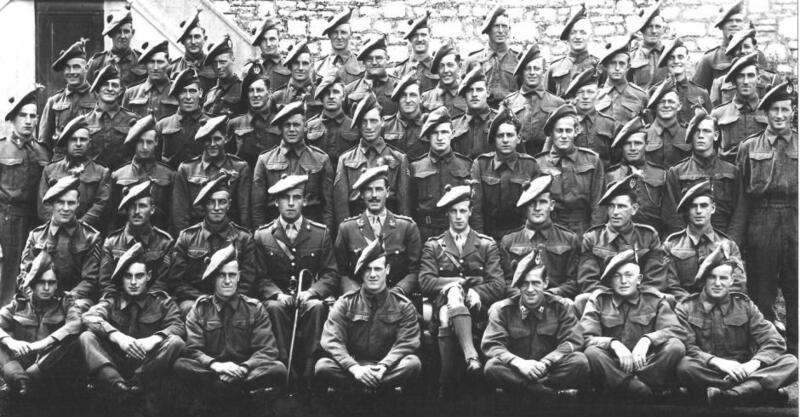 24th May 1944 No 9 Commando were involved in Operation Darlington 11 along the East coast of Italy. 27th May 1944 Issue 25 of the Daily Vis-a-Vis was issued to Commandos operating with the Central Mediteranean Force from the island of Vis giving an update on the progress of the war [view]. 8th May 1945 VE day or Victory in Europe day. C in C 21st Army Group, Field Marshall Montgomery, sent a message to all troops. [view].